(Ch 4, trc in ring) 4 times. 4th st of ch 8. (6 spaces). same sp as joining) twice. in same trc. Repeat from * around. Starch. Pin into position to dry. 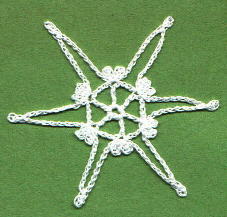 snowflake to hang on your tree. 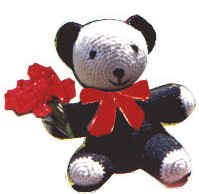 Every effort has been made to have the crochet instructions accurate and complete.